JUST ANNOUNCED! CODY JOHNSON SET TO PLAY SAM HOUSTON RACE PARK AGAIN IN 2018! 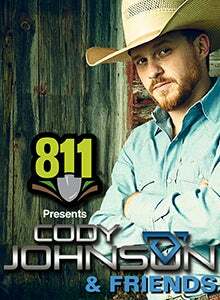 HOUSTON, TX —After a sold out performance in 2017, Sam Houston Race Park (www.shrp.com) and 811 are proud to announce that Cody Johnson will return to the Bud Light Stage in 2018! Johnson, who in 2017 was the first ever artist to sell out the Sam Houston Race Park infield in the 24 years since the park’s opening, headlines another great summer show. Johnson’s latest album, Gotta Be Me with hit singles such as “With You I Am” and “Wild As You”, made its debut at #1 on the iTunes Country Albums Chart and #2 on the Billboard Top Country Albums Chart. After selling out nearly every venue he’s played for the past year and a half, Cody Johnson is currently one of the hottest tickets in Country Music. Joining Cody Johnson on Saturday, August 11th, will be American Country artist Easton Corbin as well as two more performers that have yet to be announced. Early bird tickets will go on sale this Friday, April 13th at 10am and go through Tuesday, April 17th, at 9:59am. Early Bird tickets will be available for $25 online at www.shrp.com or by calling 281-807-8700. The early bird pricing point is courtesy of 811. Always call 811 before you dig. Sam Houston Race Park is Houston’s premier racing and entertainment facility, located just 15 minutes from downtown! SHRP offers a variety of attractions including 16 recently renovated luxury suites overlooking the race track, The Pavilion Centre, and award-winning dining options in the Winner’s Circle Restaurant and the Jockey Club. For more information on upcoming shows, events, and tickets, please visit www.shrp.com.